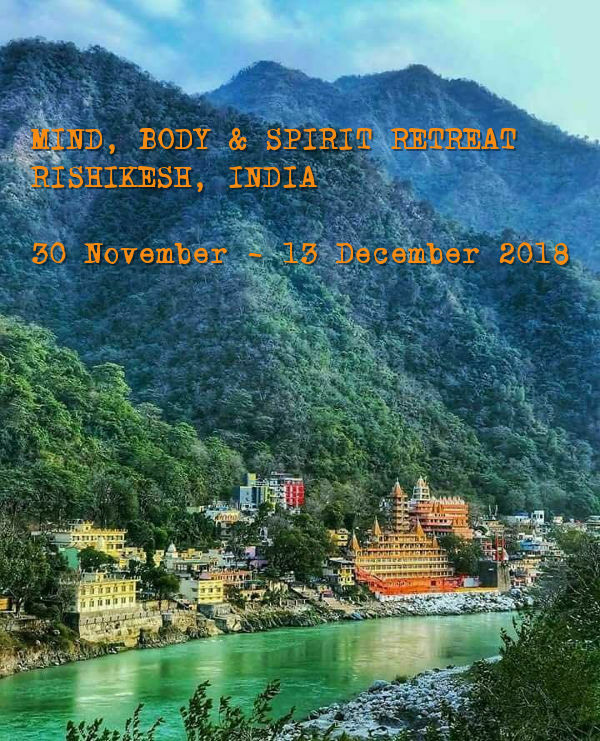 Can you imagine yourself here in beautiful Rishikesh, the spiritual home of yoga nestled in the Himalayan foothills? Slow down, unwind and restore your being on Retreat with us enjoying daily Yoga, Meditation, Ayurvedic treatments and delicious, healthy vegetarian cuisine. This year we are including a 3 night stay at a fairytale mountain resort in Mussorie, with mesmerising views of the snow capped Himalayas and valley below. We have scheduled a Retreat information session – Saturday May 5th at 3-4pm at Yogaveda, for those interested in finding out more about this years Retreat. 3 nights in a luxury hotel in Central Delhiwith breakfast. Includes a day sightseeing & shopping. 3 nights with breakfast at the picturesque mountain resort – Jaypee Residency Manor– in the old English hill-top town of Mussorie. This spectacular mountain resort is located1700 metres above sea level offering enchanting views of the majestic Himalayan mountain range. 6 nights with breakfast at the beautifully situated Divine Resort in Rishikeshwith breathtaking views, on the banks of the holy river Ganges. Centrally located in Luxman Jhula close to colourful shops, cafes and restaurants, and a short stroll to the Ganges. Yoga classes twice daily with Nikki– Active Hatha style morning class & evening Restorative session – open to all levels. Ayurvedic Consultation with Leah or Nikki prior to retreat. Ayurvedic full body massage– Snehana – with Leah. Excursion Day – visiting Vasistha Cave, a local village and enjoy a delicious lunch at a tranquil forest Resort. Traditional Music and Dance with Indian snack foods.